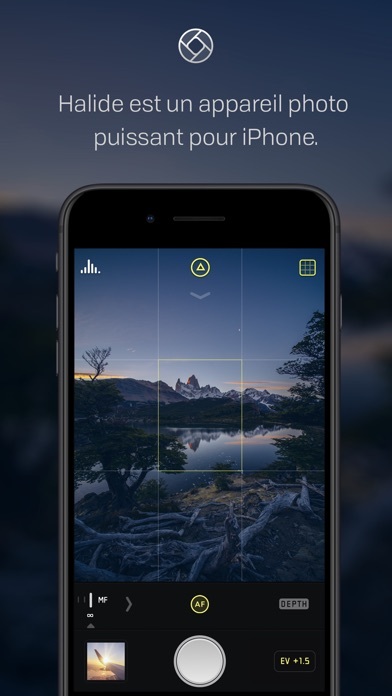 Smart RAW is now even smarter. We use machine learning to optimize exposure in Auto mode to improve the dynamic range and further reduce noise. We call it Smart RAW v1.5. In one user's words, "Grain has practically disappeared." 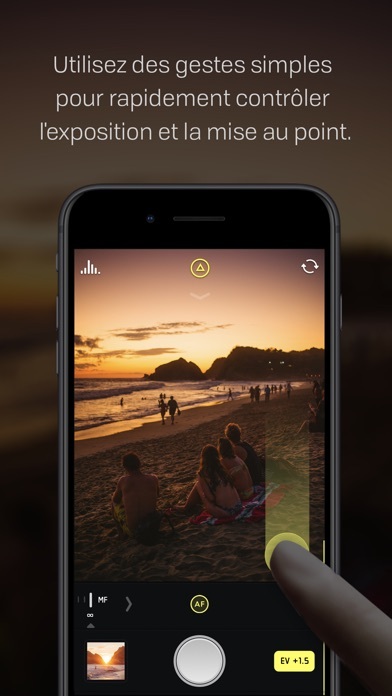 Finally, if you love Halide, we're excited to say we're launching another app later this month. Be sure to follow @halidecamera on Twitter for the news. And don't forget to tag your photos #ShotWithHalide. Seeing what you make is the best part of our job. 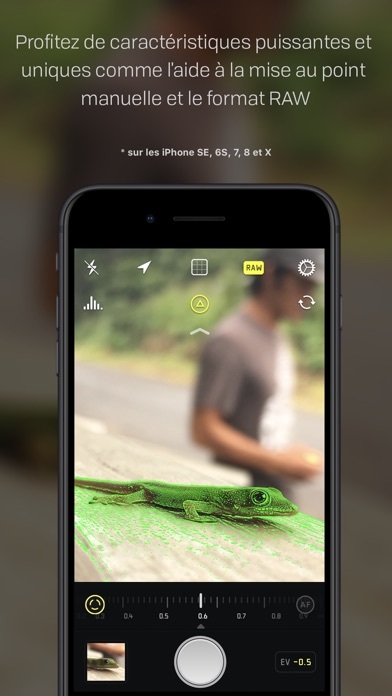 In Halide 1.11.1, we've fixed an issue with Portrait Effects Matte and improved the AR viewer. 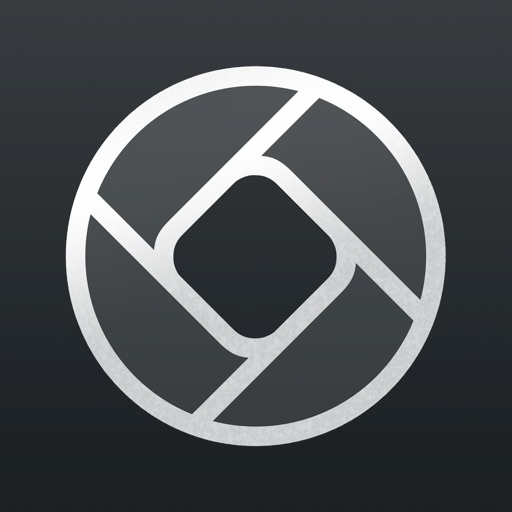 Halide 1.11 is a special update for iPhone XR. 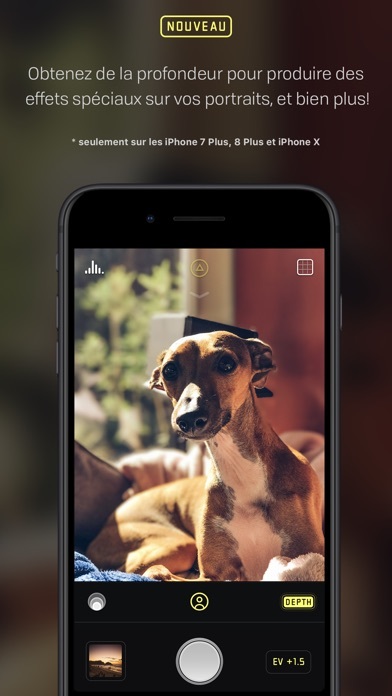 Now you you can apply portrait mode to pets and other objects! 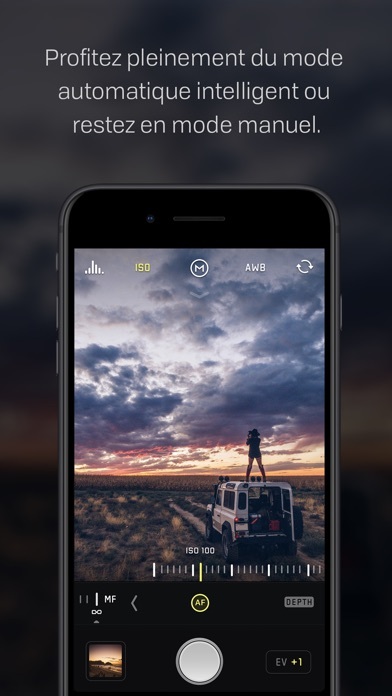 Just tap 'Depth' to turn on Depth Capture; a portrait blur effect will be applied after you take your photo. You can fine-tune portrait effects in the Photos app. If you don't have an XR, you'll still benefit from the bug fixes and improvements we made along the way. Tous les prix sont affichés en euros (EUR €). Ce prix a été vérifié pour la dernière fois sur l'App Store français il y a 4 heures et pourrait avoir changé.